When I heard there was going to be a Harry Potter play I was excited yet sad at the same time. The possibility of me actually being able to see the play was next to nothing. There is no way I can afford to go to London and I had no idea if/when it would come to the U.S. And when it does come here who knows if it would be possible to get tickets or if they would be affordable. So when I heard they were going to release the script in book format I was super excited. I have been anticipating this for months now. All I wanted was to be able to read the story. I went to a midnight released event for Harry Potter and the Cursed Child. 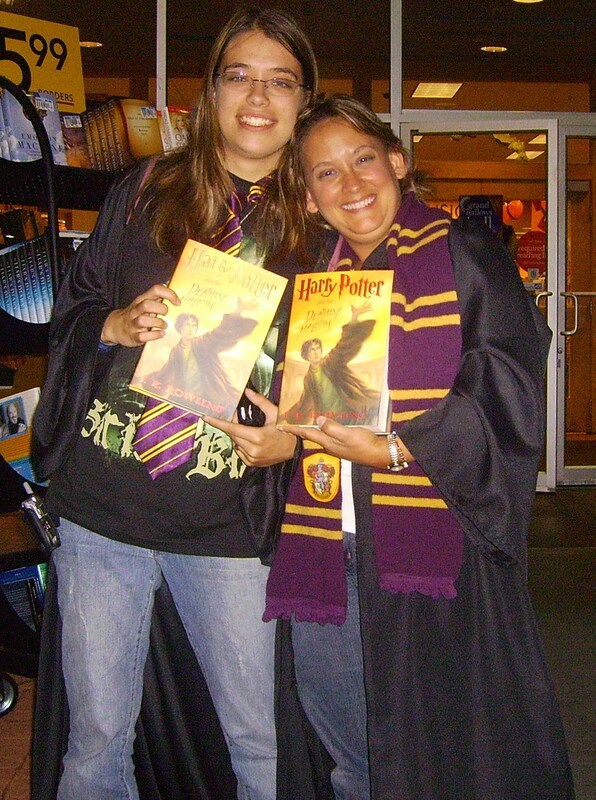 I felt like I had gone back ten years to the release of the final book. I went with my best friend, mom and brother. I was once again surrounded by Harry Potter enthusiasts and it was a great feeling. Not only have I missed the Harry Potter world but I have also missed the air of excitement and anticipation for a new story/book. I read the whole thing in one sitting. I have many thoughts about the story so this does get a bit long. This will probably be one of my longest reviews, but I have so much to say about this story. I wanted to start off by saying that I ultimately loved this story. I loved the greater depth we got to some of favorite old characters as well as meeting some new ones. I thought the story did a great job of introducing us to the next generation of Hogwarts students. One of my favorite aspects of stories is the characters and this script delivered on that. There were some plot points I had some trouble with but more on that later. I do think that there is something missed from this story by just reading the script. Plays are meant to be watched not just read. I think portions would have had a bigger impact watching the action take place. I got a good feeling for the story but I think it would truly come alive seeing it performed. I hope that one day I am able to see it live and then compare it to my reading of the story. Cursed Child takes place exactly where the seventh book ended. The opening scene is actually part of the epilogue. Albus Severus Potter is off to his first day at Hogwarts. He says good-bye to his parents and he and his cousin Rose head off down the train to find somewhere to sit. They encounter Scorpius Malfoy. Rose is reluctant to stay around him. Both her and Albus know the history their parents have with the Malfoys. They also know the rumors about Scorpious being Voldemort’s child. Rose doesn’t want to stay but Albus does. Albus and Scorpius become fast friends. Albus gets to Hogwarts and he is sorted into Slytherin which creates a rift between him and Rose as well as the rest of the kids in the school. The play does a quick pass through time going through Albus’s first four years at Hogwarts. We learn quickly that Hogwarts isn’t a sanctuary for Albus like it was for Harry. Albus is ignored and bullied. His only friend is Scorpius. Albus is not popular like Harry. He is not a great student and he is not athletic. He is an outcast at school and at home he doesn’t feel much better. Him and Harry do not have the closest relationship. Harry is having trouble understanding Albus. After a huge fight between Albus and Harry, Albus decided he needs to right a wrong of Harry’s past, which hopefully will change his relationship with his father. Albus decides that they need to save Cedric Diggory. Albus and Scorpius steal the last remaining Time Turner and use it to go back and try to save Cedric. As always happens with trips through time, things do not go as planned. They try two different times to save Cedric and end up making a bigger and bigger mess. They work to fix it and in the process learn that the whole thing was being manipulated by a woman called Delphi, who they think is Cedric’s cousin. Turns out she is actually Voldemort’s daughter and she is intent on saving him and meeting her father. Albus, Scorpious, Harry and the others all work together to stop Delphi and in the process Harry and Albus learn how to understand one another and begin to repair their relationship.That is the basics of the plot. At the end of the seventh book Harry and Albus have a discussion about Albus’s fear of being placed in Slytherin. After their talk I thought that Albus would ask to be in Gryffindor just like Harry did. I did not expect him to end up in Slytherin, but he did. I love that Albus is in Slytherin. That is probably one of my favorite parts of the story. People have a misconception about Slytherin, one that J.K. Rowling is constantly trying to change. The idea that Slytherin is full of dark or evil wizards is warrented. In the books we are told that the most dark wizards have come from Slytherin. Many of the characters we dislike are in Slytherin. But Slytherin house is not a bad house, there is nothing inherently wrong with the people in that house. Slytherins are ambitious, stubborn, and cunning people. They will do whatever they have to do in order to get what they want. They do not back down easily. None of those are bad traits. They are traits though that can be used in the wrong way if they are allowed to go in that direction. Because Slytherin’s have some more extreme traits they tend to be the darker wizards but making Albus a Slytherin does a lot to change this idea. We get to see that there is nothing wrong with this house. Albus is not evil. Scorpius is not either. It helps to show that each person is an individual. Just because your family has a certain leaning toward a house or set of traits does not mean you have to be same way. Everyone is different. Albus is a good kid, and him being in Slytherin will help adjust the attitude that may permeate about that house. One of my new favorite character is Scorpius Malfoy. Scorpius is funny and has some of the best lines in the play. He is not like Draco, a lot like Albus is not that much like Harry. Scorpius is the smarter one of the two of them, he is a bookworm and has great grades. He is the perfect pair to Albus. I love their friendship. I also love what their friendship does for Draco and Harry’s relationship. Draco and Harry have not become friends over the last 19 years. They tolerate each other’s presence. Throughout the story they have to work together in order to find and help their children. They have arguments, but in the end they realize that they have some things in common. Both are having trouble relating and reaching their sons. Both have certain expectations for their children and both are having an issue connecting to their child. Parents tend to envision certain lives for their children. They see them as a certain profession, or see them getting great grades and having lots of friends. Some see their children as hugely successful or similar to themselves when they were children. One of the most difficult things for a parent is to take a step back and see the child they have in front of them. Some can do this (my parents did a great job at it) while others have trouble reconciling their imaginary child and the child they have in front of them. This is the main thing Harry is dealing with in this story. Harry has three children, James, Lily and Albus. He seems able to connect with James and Lily. Albus is an enigma to him and they can’t find common ground. Not only is Albus a Slytherin but he hates Hogwarts, is not popular, not a great student and is not athletic. He is a loner and Harry can’t understand how Albus go to this point. One of the problems is Harry doesn’t listen to Albus. He keeps getting frustrated with his son and he thinks he knows best. He doesn’t understand why Albus won’t listen and do what he says. He can’t reach his son and he makes some bad decisions along the way. By the end of the play he has to put his expectations and images of Albus aside and see Albus for who he is. They are in fact much more similar than either is willing to admit. Harry is not perfect. He has always had trouble adjusting his opinion about someone or something. He tends to get an idea in his head and won’t let go. In this play we see that this is something he continues to struggle with no matter how old he has gotten. Cursed Child also gives us a new way of seeing Draco. Draco’s wife passes away early in the story and he is now a single father. He is struggling to connect with his son just as Harry is. Draco was a character that got much deeper in the last few books and this play just adds more depth to his character. Draco ends up opening up a bit to Harry in this story which made me like him more than I have ever done before. We see that Draco loved his wife and loves his son. He did not have the greatest example of a father to emulate; and like Harry he is making things up as he goes. Draco does not want to be stereotyped by his past decisions or for his son to suffer for his past. Harry and Draco will never be best friends but the friendship between their children will help repair past wounds. They can be cordial to each other and even work together when necessary. This was a great play for characterization. It evolved the characters we know and love and helped us form new connections to new characters. The main plot point, the whole time travel aspect, is where things got a bit complicated. I love time travel stories. I also love stories that explore the idea of the repercussions of changing things in the past. I was excited to see that this was the main idea of this story. What I found though was my wanting of more details. I know a play can only give you so much detail and explanation to the story. You can’t have a huge amount of time dedicated to explaining how pieces work. I thought this story could have benefited from a bit more detail about how the time travel worked and how the consequences came about. Albus and Scorpius change history twice trying to save Cedric. The first time they try to make Cedric fail the first task of the Triwizard Tournament. The effects of this one are subtle. Albus is now a Gryffindor. Ron and Hermione aren’t married. Hermione is not Minster of Magic, but a teacher and she is strict and just plain mean. Harry is also a bit rougher around the edges. He threatens McGonaglla with legal action if she doesn’t do as he wants. He tries to keep Scorpius and Albus separate from one another, all which is very out of character for Harry. The issue I had with this part was there was little -to-no explanation of why these are the consequences of that change in history. Why is Albus now a Gryffindor? How does his character change because of this? Yes, Hermione went to the Yule Ball with Ron instead of Krum but why did that have such a negative effect on their relationship? Why is Hermione so bitter now? There is a base line explanation for everything but I felt like I needed a bit more explanation. That may be because I am so close to these characters that I need to know everything about them and how they change. These aren’t characters I just met. I believe I know their behaviors and thoughts and would know how things would change for them. The second time they humiliate Cedric in the second task. Somehow this makes Cedric become resentful and in the end he becomes a Death Eater. At the Battle of Hogwarts he kills Neville, which means Nagini is not killed and Harry dies in the battle. Voldemort takes over and everything is horrible. Again, I had questions. Why does Cedric being humiliated end up with him as a Death Eater? And how does that alone put things in place for Vodemort’s take over? Did Cedric blame Harry somehow? I think we do not know enough about Cedric alone to be able to reconcile these changes in a way that made sense to me. Again I think this would have benefited from more details about what happened and why. But I know that is difficult with the time frame of a play. Then there is the idea of Delphi being Voldemort’s daughter. This was the part I had the most trouble with. It may be that for me Voldemort always seemed like a very asexual person. I did not see him having any real connection with anyone, not enough to create a child. I also can’t put Belletrix into a timeline where she would be pregnant. This idea was interesting and I would have loved to explore it more. I would have loved to understand better how it happened and if it was just about creating an heir (which makes little sense since Voldemort never planned to die) or if there was more to it. Again I think I desired more details because I am used to getting it with the novels. In a play you can’t do all of that or the whole thing would last hours. There has to be a cut off and some things get left out. The basics are explained for the plot line but I wanted a bit more. Again I did not dislike this story. I loved the idea. I loved the growth of the characters and the introduction to the new characters. I just think this may have all worked better as either a novella or even a novel. I am also used to a certain way Harry Potter stories are told and this is very different so that may be me trying to adjust to this change. In the end I loved this addition to the Harry Potter world. I have new favorite characters. I got to see how Harry as an adult, which is nice since I am now an adult myself. I got to go back into the world that I have always loved and adored. This was a great adventure and I do believe that anyone who likes Harry Potter should enjoy this additional story. You get to step back into the magical world and walk alongside some of these fantastic characters yet again. It is no secret that I am a huge Harry Potter fan. I have read all the books a number of times. So when I found out that the an illustrated version of the first book was being released I was super excited. I was not able to get it right away though since it was released close to my birthday and the holidays. And I am forbidden by family members to buy anything for myself for those two months, so I had to be patient and wait. I received the book for Christmas and began reading immediately, even though I was in the middle of another book at the time. I was eager to see what the illustrations looked like and how they affected the way I read the story. Jim Kay has created some beautiful illustrations for this story. I flipped through the pages at first before reading just to see what the pictures looked like. They are bright and so full of gorgeous detail. Each picture is unique and has some fantastic colors to make your eyes drink in the scenes. They compliment the story perfectly. As I read I found myself looking over the picture and easily falling into that scene. I love the illustrations because you can tell they are not based off the movies. The pictures are unique to themselves and I could tell this is how he saw the characters and the scenes play out. The illustrations help the story flow forward and create and an even fuller world as you read. I highly recommend this version to anyone who has read the books before or has been looking for a reason to start reading them. For those who need a bit of visual representations to help pull them through a story, there is no better way to do that than with this version of the first book. For those who have read the series a number of times, this gives yet another dimension to the stories and opens up a beautiful new way to see the Harry Potter world. 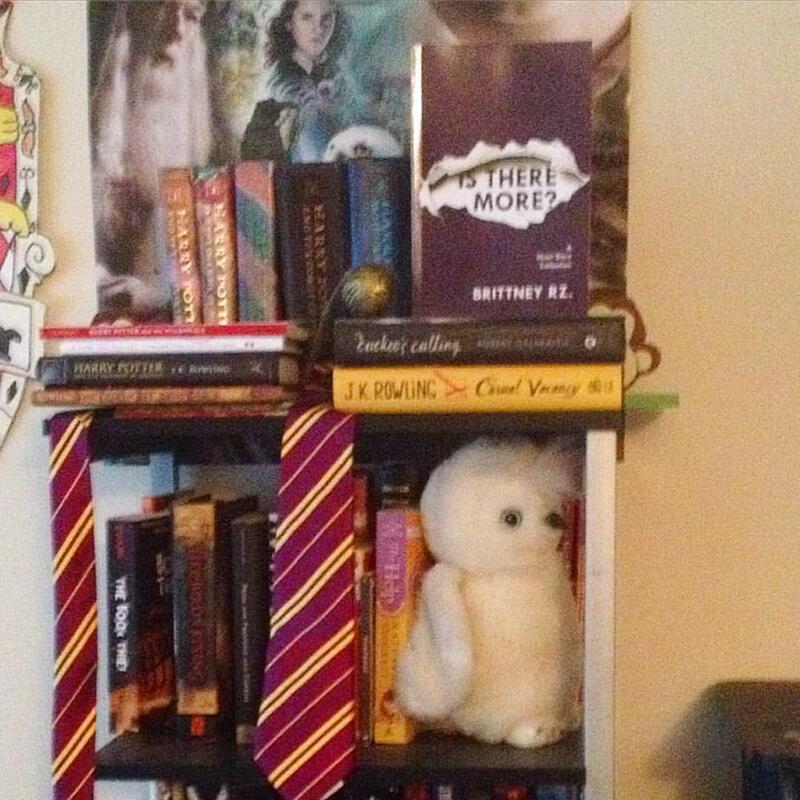 It has been added to my Harry Potter shelf and I hope to one day use it to introduce my children (when I have them) to the Harry Potter world. 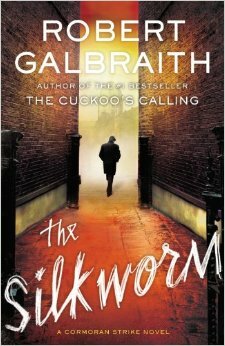 I picked up The Cuckoo’s Calling because I love J.K. Rowling. As soon as I heard of her “secret” book I knew I had to read it. She is that one author I will read anything from, no matter the subject matter or style of writing. Traditional detective novels have never been my favorite genre of books. I enjoy the mystery of the detective books but I generally find myself bored by the process. Unless there is some supernatural element or item of intrigue they are hunting for, I generally stay away from this genre. But this was a book by J.K.Rowling and I knew I had to give it a shot. I was not disappointed by how entertained I was by the story. Like her other adult novel Casual Vacancy (also very good) this is more a story of getting into the depths of the two main characters, Strike and Robin than just a mystery novel. Strike is a down and out detective on the verge of complete financial and personal ruin. Robin is a newly engaged temp who is assigned to be his secretary for a week. We become entangled in the lives of these two characters. Entangled in the ways they interact with one another, and those around them all while trying to get into the deep depths of Lula Laundry’s life and how she ended up in her grave. Strike takes the case of further investigating Lula Laundry’s, a famous model’s, apparent suicide. A suicide her brother believes is actually murder. Strike takes the case more for the money than anything else. He has no real choice in the matter. While Robin is ultimately only assigned to help Strike for a week she sticks around, wanting to not only find the solution to this mystery but also to get closer to Strike and help him get back up onto his feet. The investigation itself is very realistic. Rowling isn’t stingy on the details of the interviews and the process Strike has to go through to find who actually killed Lula. As you read you actually feel as if you are a detective, hunting down small pieces trying to make a bigger picture. She never tells you when something is important, never has Strike run off to write something down or hurriedly hunt through files, signifying something important has happened. You as the reader pick on the subtle aspects of what the characters say and do and you begin to realize, like Strike, the truth behind this mystery. Lula Laundry’s life mirrors Strike’s in so many aspects it gets a little bit scary for Strike. He sees himself in this case, he sees how far he could fall and what the end result could be. Though Lula doesn’t actually commit suicide, Strike sees how she could have ended up in that place. We as readers watch as he investigates this young woman’s life and we see Strike become more and more frightened yet intrigued. He has to find the answer, not only for Lula but for himself. We follow him from his lowest point in life and watch as he begins the climb up to a stable place. Rowling writes this parallel so well, holding onto the reader. Strike is actually a very smart man, one who understands his surroundings and lives very much in the reality of his current predicament. Whereas Robin is initially more idealistic, she’s on the way to getting married to the love of her life and on the verge of finding a job to finance her new future. When she comes to Strike she has a very romantic idea of what a detective should be like and how the life should be. While we meet Strike at his lowest, we meet Robin at her highest. We follow Strike as he begins to move up and we watch as Robin begins to become more realistic. She doesn’t fall, but she quickly realizes what reality is really like. She sticks around, intrigued not only by the case but by Strike. She wants to help him, she wants to watch him get back onto his feet. They become close, not romantically, but in a friendship that is real and strong. Both are reluctant to let the other in at first but quickly learn that they have to help one another, they become compliments for each other. The culprit of the case is not exactly shocking, it is more the reason why they did it that makes you drop your jaw a little. The end gives us a solution to the case and hope for Strike and Robin. Strike is getting control of his life while Robin is now on the course of beginning to live the life she truly always dreamed of. J.K. Rowling wrote characters in Harry Potter that were vivid and real, characters we could all get close to. They had true depth and lives that we became involved in, we didn’t want to watch them suffer but we rejoiced when they finally triumphed. That aspect of her writing was and always will be her strongest aspect. She writes these characters we become invested in, we want them to succeed and find themselves. We don’t want them to suffer but we understand why they have to, we see why they have to struggle. 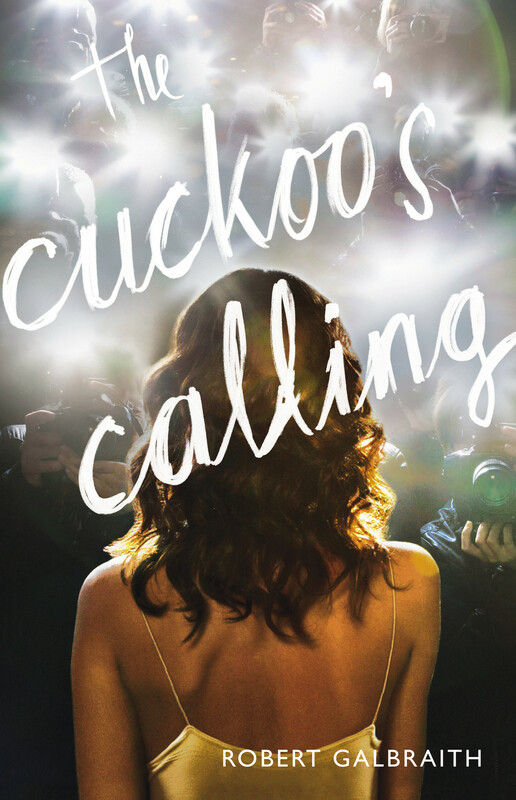 Cuckoo’s Calling shows us yet again why J.K. Rowling will be an author studied and adored for centuries to come.